Siri may soon be able to identify your voice and give personalized responses. Apple engineers are preparing for the day Siri can reliably recognize voices. They’re working on how this digital assistant will respond to requests from multiple users. This issue became important with the release of Apple’s HomePod earlier this year, as smartspeaker are used in shared spaces. The special chip built into Apple’s devices that recognizes the “Hey Siri” activation phrase is already supposed to filter out other voices. But this function is only used now in an attempt to prevent false positives — having the phone ignore another person saying the activation phrase. Still, it means Apple is closer to being able to identify individuals than many people think. When SIri was only used on a phone or laptop the system only had to worry about one voice and a single user. But smartspeakers, by their very nature, are meant to be shared. 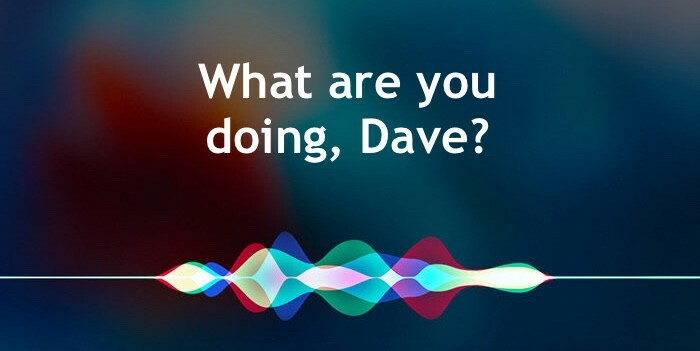 In less stilted language, after Siri has recognized your voice, you’d be able to order it to “Call John,” and it would know to call your friend, not your son’s friend who had the same first name. Apple requested its patent for “User profiling for voice input processing” in April 2017, back when the HomePod was still in development. It was awarded today (patent 10,049,675). It’s quite possible the company’s engineers have made further progress in the intervening year and a half, and the next version of the HomePod will include this feature. The first version of Apple’s smartspeaker isn’t doing all that well. That said, not every patent awarded goes on to become a product. Apple could have been exploring an idea that it won’t actually add to Siri.